HOW DO I PARTICIPATE IN THE AWARDS? Participating in the awards is an easy process. All you need to do is fill up the online nomination form on http://awards.estrade.in/, upload the relevant details, and pay the nomination fee. HOW WILL THE ESTRADE AWARDS STATUS HELP IN OUR GROWTH? All awardees of Peridot Lifestyle Awards, 2017 are bound to benefit in terms of international recognition by a Singapore-based entity. However, it largely depends on how the awardee utilizes this achievement. With our Publicity Program Support and the awardee’s appropriate marketing strategy, one can take immense advantage of being a winner of the Estrade Peridot Awards. This will help enhance market recognition and brand enhancement. WHAT ARE THE KEY ADVANTAGES OF PARTICIPATING IN THE ESTRADE AWARDS TO THE WINNERS? The Estrade Awards not only recognizes you or your organization as one of the many unique organizations which focus on Innovation & Excellence, but declares you as the best amidst the rest in your category and geography. The Estrade Awards recognition will help you endorse the role of your staff, motivate them, boost their self-esteem and pride, achieve higher productivity and hence enhance retention and keep a check on attrition rate. It enables you to reach out to prospective customers with renewed confidence by leveraging on the immense marketing and PR value of the award. The winners will be on a new high, fast-track route to recognition of their unflinching commitment towards Estrade Awards through PR campaign in web and print media. You shall enjoy publicity that will establish your reputation as a proven provider of quality projects and exemplary levels of services. The winners shall be handed over a framed certificate. The certificate and the photographs could be displayed at your premises and shall be a testimony of your commitment towards your customers. Our Corporate Branding team will guide you on the correct and authorized usage of our logos. This framework will be provided separately only to the winners. CAN I SUBMIT MY ORGANISATION DETAILS AS A HARD COPY? No. Estrade is emphasizing on digital format for ease of submission for the participants. You can email the documents to awards@estrade.in. The nomination process for all the categories will commence on July 15, 2017. Kindly go through all the terms & conditions before submitting your nomination. Deadline for the nominations is November 15, 2017. One organization can choose to nominate only 1 category. If you want to nominate in more than one category you have to pay extra for each separate nomination. There is no early bird discount available on the nomination fees. The Jury will take a decision on the awardees after November 15, 2017. All the awardees will be notified via email 3 weeks prior to the awards ceremony which shall be held on 9th December 2017 in Mumbai. CAN ONE ORGANIZATION BE NOMINATED FOR ALL THE CATEGORIES? Each organization cannot be nominated for more than 1 category. No. An entry, once uploaded, cannot be changed. Therefore, we recommend you verify cross-check and confirm the information and other requirements before you begin the submission process. No requests for alteration shall be adhered to once the submission is complete. HOW DO I KNOW THAT YOU HAVE RECEIVED MY ENTRY ONCE I SUBMIT IT ONLINE? Once you submit your entry and we receive the nomination fee, we will send you an acknowledgement of receipt via email within 3 days. All entries will be initially screened by our research team and a final scrutiny will be done by the Expert Group and Advisory Board. The parameters will include originality, creativity, functionality, efficiency and adherence to client’s brief, environmental concerns, use of materials, and the spatial experience of the project. Once we receive your form, it will go through a due diligence process, where we will check that the information meets the award criteria. We will also check the financial statements of preceding three years which you are required to send along with your entry. Financial statements are not initially required for the Innovative New Idea and the Industry Leader of the Future categories. However, you may be asked to submit supporting documentation for your entry. If required, we will contact you after you have submitted your entry and our team have reviewed your complete form. If your application does not meet the award criteria, you may be eliminated from further stages in the assessment and judging process. The decision of the jury will be final and binding. All winners will be communicated by 20th November, 2017. The Gala Award ceremony will be held in Mumbai on 9th December 2017. IS IT POSSIBLE TO NOMINATE AN ORGANIZATION THAT HAS PREVIOUSLY BEEN PUBLISHED / AWARDED? WILL MY ENTRY BE VISIBLE ONLINE TO OTHERS? No. None of the submissions will be visible to anybody else other than the organizing team at ESTRADE. I AM UNABLE TO ATTEND THE AWARDS CEREMONY, CAN I STILL REGISTER AND PARTICIPATE IN THE AWARDS? While we would like to have all the winners attend the Gala Awards ceremony, winners who are not able to attend the ceremony for any reason will be sent their certificate/trophy through courier provided they have completed all formalities of nomination including submission of required documents etc. and making the payment of nomination fees. WHAT IF A NOMINEE IS LATE IN PAYING THE NOMINATION FEES AND/OR SUBMITTING SUPPORTING DOCUMENTS? Each nominee will be reminded twice by the Executive team to pay the nomination fee and/or supporting documents. If the nominees still fail to complete the required formalities, then the nomination shall be revoked. 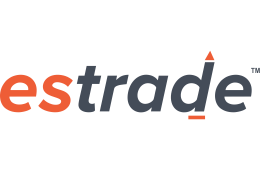 If there is still something else you would like to clarify, drop us an email at awards@estrade.in and we will get back to you soon.